C.S. 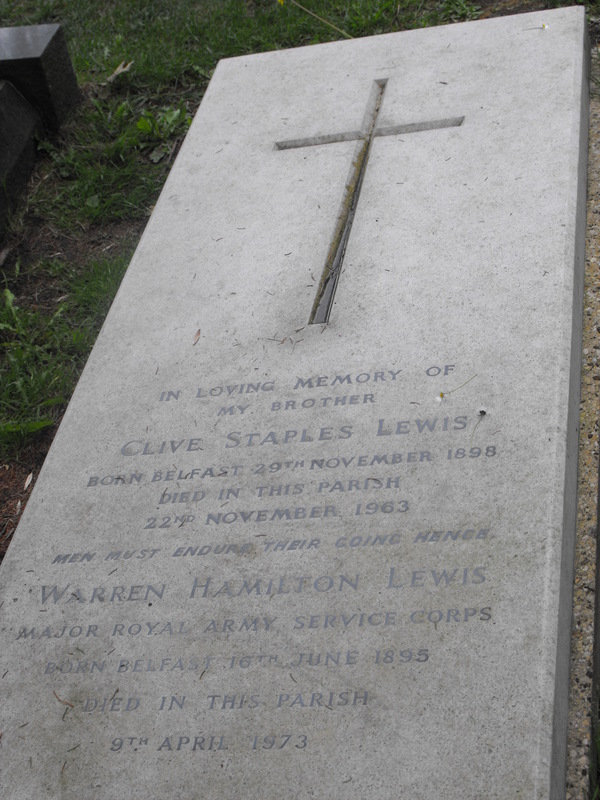 Lewis lived at “The Kilns” in the parish of Headington Quarry and Risinghurst from 1930 until his death in 1963. When he first lived here the ring road had not been built and it was therefore easy for him to walk to Holy Trinity in Quarry to attend services. It was while he was living here and working as an English don at Magdalen college that he wrote “The Chronicles of Narnia”, the work for which he is now most remembered. He and his brother, who lived with Lewis from 1932 an d who survived him by ten years, are buried together in the churchyard of Holy Trinity. The grave is often visited by admirers of Lewis and Quarry residents get used to showing visitors to the church where there are now directions to the grave. “The Kilns” is worth a visit, particularly the nature reserve behind it which is quite magical. The church has a very pretty window by Sally Scott which serves as a memorial to Lewis. It is placed next to the pew in which he and his brother sat and is known as the Narnia window.